I found a really great visualization of the state-by-state election results, linking blue and red hue to the percentage of people in the state voting Democratic or Republican (respectively). 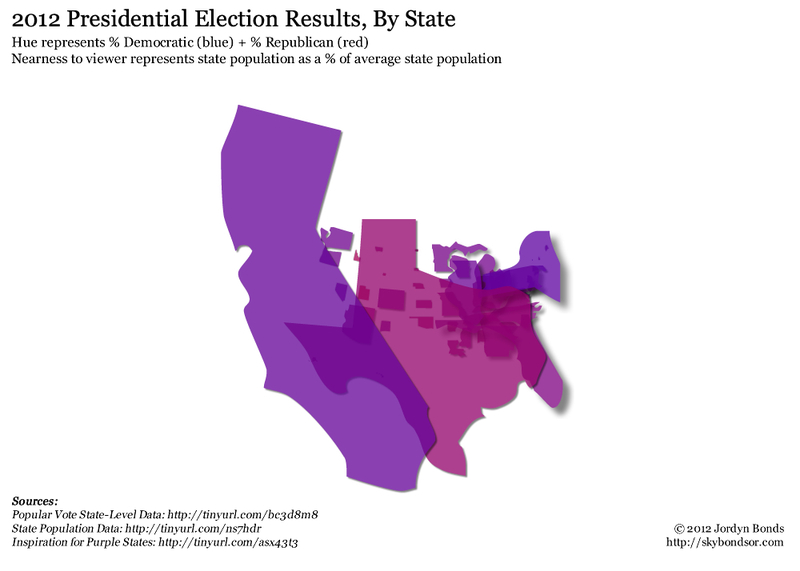 If you followed the link, you can see what a moving image it paints: No corner of this country is ALL blue or ALL red (despite the impression we might get from media coverage of the results). 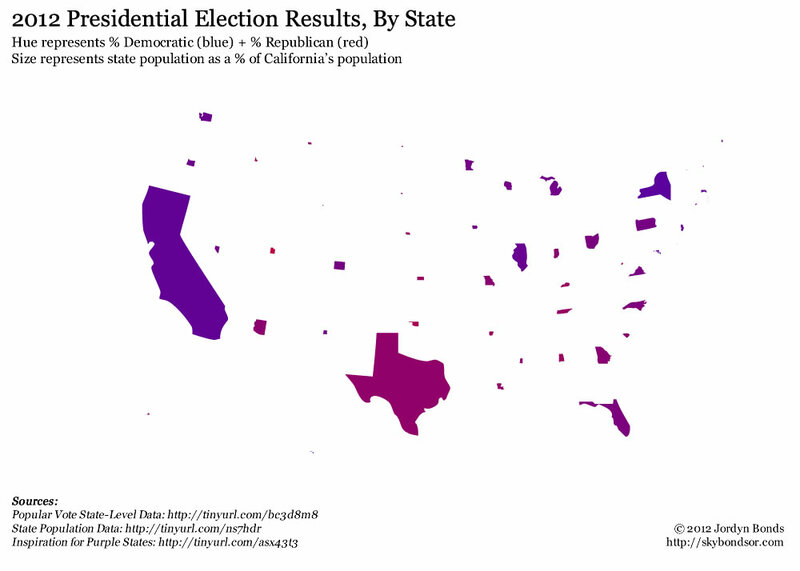 Another map I stumbled upon showed these same election results, but warping the size of each state based on the state’s population. 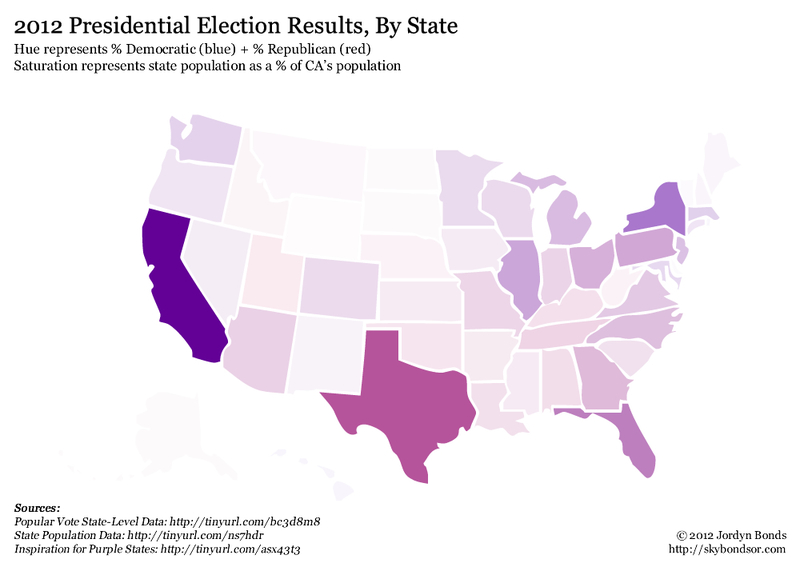 This distortion made it a hard map for me to look at and make any sense of, so I thought I’d explore alternatives, while also incorporating this idea of purple states. Below are the results of this experiment. One thing to note: Alaska and Hawaii are on all three maps! Their populations just make them either very light, very small, or very far away.